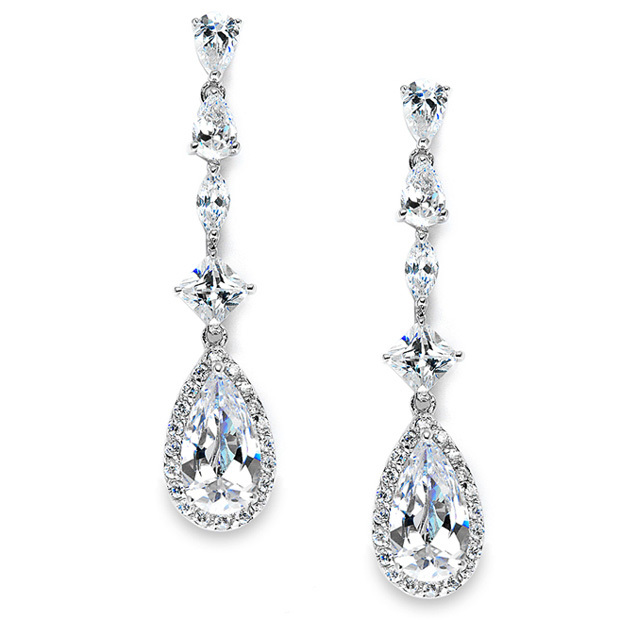 * Sparkling, Glistening, ultra modern & fabulous - Mariell's slender teardrop dangle earrings have it all. * These 1 3/4" h x 3/8" w eye-catching Cubic Zirconia pear shaped dangles are best-selling earrings for proms, weddings or homecomings. * Add these irresistible earrings to your store's wholesale jewelry collection today! * We guarantee you'll love these earrings!